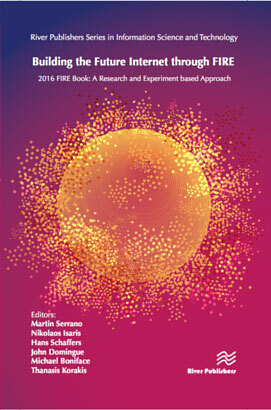 Michael Boniface, Technical Director of IT Innovation, is one of the editors of a new book entitled "Building the Future Internet through FIRE", which pulls together the outcomes from FIRE on R&D, best practices and state-of-the-art experimental facilities. "The Internet is now a vast collection of technologies and systems and has no overall defined design path for its inherent expansion. Neither shall the Next Generation Internet. Trials and experimentation that engage users and technology stakeholders are key for early validation of acceptance, viability and performance of Internet technologies. We use this approach in new projects such as FLAME where we are building a new media service platform that provides a tighter integration with software-defined infrastructure through trials and experimentation. We are deploying the platform in urban scale production city infrastructures and conducting over 20 trials with key players in the creative industries to build the evidence of benefit to user experience and cost reduction." For more information on the Next Generation Internet, see the HUB4NGI project page. The FIRE book is available at River Publishers.